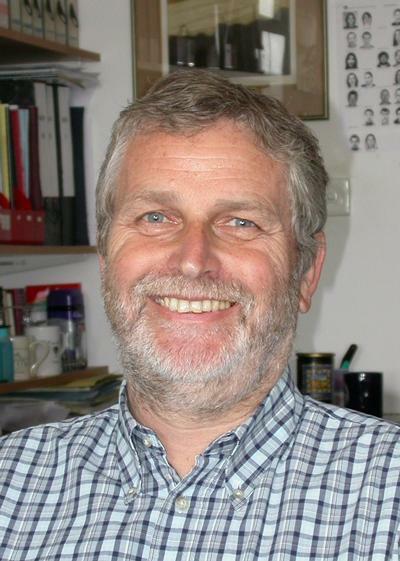 Emeritus Professor Paul Tyler is Emeritus Professor within Ocean and Earth Science, National Oceanography Centre Southampton at the University of Southampton. All aspects of deep-Sea biology including slopes and abyssal plains, hydrothermal vents and cold seeps. Antarctica. Fine specialisation in reproductive biology within these environments. Vanreusel, A., Andersen, A. C., Boetius, A., Connelly, D., Cunha, M. R., Decker, C., ... Vanneste, H. (2009). Biodiversity of cold seep ecosystems along the European margins. Oceanography, 22(1), 110-127. Watson, S-A., Southgate, P. C., Tyler, P. A., & Peck, L. S. (2009). Early Larval Development of the Sydney Rock Oyster Saccostrea glomerata Under Near-Future Predictions of CO2-Driven Ocean Acidification. Journal of Shellfish Research, 28(3), 431-437. Tyler, P., Amaro, T., Arzola, R., Cunha, M. R., de Stigter, H., Gooday, A., ... Wolff, G. (2009). Europe’s Grand Canyon: Nazaré Submarine Canyon. Oceanography, 22(1), 46-57. Genio, L., Johnson, S. B., Vrijenhoek, R. C., Cunha, M. R., Tyler, P. A., Kiel, S., & Little, C. T. S. (2008). New record of Bathymodiolus mauritanicus Cosel 2002 from the Gulf of Cadiz (NE Atlantic) mud volcanoes. Journal of Shellfish Research, 27(1), 53-62. Tyler, P. A., Pendlebury, S., Mills, S. W., Mullineaux, L., Eckelbarger, K. J., Baker, M., & Young, C. M. (2008). Reproduction of gastropods from vents on the East Pacific Rise and the Mid-Atlantic Ridge. Journal of Shellfish Research, 27(1), 107-118. Hawkins, S., Masterson, P., de Souza, R. A., Tyler, P., Filho, G. G., Pike, J., ... Burrows, M. (2007). Experimental studies of marine diversity and ecology. Marine Biological Association of the United Kingdom Annual Report, 2006-2007, r12-r13. Mills, S. W., Mullineaux, L. S., & Tyler, P. A. (2007). Habitat Associations in Gastropod Species at East Pacific Rise Hydrothermal Vents (9°50'N). Biological Bulletin, 212(3), 185-194. Benitez-Villalobos, F., Díaz-Martinez, J. P., & Tyler, P. A. (2007). Reproductive biology of the deep-sea asteroid Henricia abyssicola from the NE Atlantic Ocean. Ciencias Marinas, 33(1), 49-38. Baker, M., Ramirez Llodra, E., Tyler, P., & German, C. (2006). ChEss – A Census of Marine Life Project. Polar Field Programme. InterRidge News, (15), 36-37. Lopez, L. M., & Tyler, P. (2006). Energy budget of cultured female abalone Haliotis tuberculate (L.). Journal of Shellfish Research, 25(2), 385-389. Amaro, T., Duineveld, G., & Tyler, P. (2005). Does Mya truncata reproduce at its southern distribution limit? Preliminary information. Journal of Shellfish Research, 24(1), 25-28. Tyler, P. (2005). Forward. (to special issue: Mediterranean deep-sea biology). Scientia Marina, 68(Supplement 3), 3. Tyler, P. A., Emson, R. H., Sumida, P. Y., & Norrevang, A. (2005). Ophiuroid distribution at sublittoral and bathyal depths round the Faroe Islands. Annales Societatis Scientiarum Faeroensis, 41, 175-194. Hilario, A., Young, C. M., & Tyler, P. A. (2005). Sperm storage, internal fertilization, and embryonic dispersal in vent and seep tubeworms (Polychaeta: Siboglinidae: Vestimentifera). Biological Bulletin, 208(1), 20-28. Howell, K. L., Billett, D. S. M., Tyler, P. A., & Davidson, R. (2004). Feeding ecology of deep-sea seastars (Echinodermata : Asteroidea): a pigment biomarker approach. Marine Ecology Progress Series, 266, 103-110. Hudson, I. R., Pond, D. W., Billett, D. S. M., Tyler, P. A., & Wolff, G. A. (2004). Temporal variations in fatty acid composition of deep-sea holothurians: evidence of bentho-pelagic coupling. Marine Ecology Progress Series, 281, 109-120. Tyler, P. A., & Young, C. M. (2003). Dispersal at hydrothermal vents: a summary of recent progress. Hydrobiologia, 503(1-3), 9-19. Howell, K. L., Pond, D. W., Billett, D. S. M., & Tyler, P. A. (2003). Feeding ecology of deep-sea seastars (Echinodermata: Asteroidea): a fatty-acid biomarker approach. Marine Ecology Progress Series, 255, 193-206. Mills, S. W., Mullineaux, L. S., & Tyler, P. A. (2003). Habitat preferences in gastropod species at hydrothermal vents at 9,50N, East Pacific Rise (abstract of poster to be presented at: AGU Ocean Sciences Meeting, 26-30 January 2004, Portland, Oregon). EOS: Transactions American Geophysical Union, 84(52, Supplement), OS26. Wigham, B. D., Tyler, P. A., & Billett, D. S. M. (2003). Reproductive biology of the abyssal holothurian Amperima rosea: an opportunistic response to variable flux of surface derived organic matter? Journal of the Marine Biological Association of the United Kingdom, 83(1), 175-188. Perovich, G. M., Epifanio, C. E., Dittel, A. I., & Tyler, P. A. (2003). Spatial and temporal patterns in development of eggs in the vent crab Bythograea thermydron. Marine Ecology Progress Series, 251, 211-220. German, C., Tyler, P., & Griffiths, G. (2003). The maiden voyage of UK ROV "Isis". Ocean Challenge, 12(3), 16-18. German, C. R., & Tyler, P. A. (2002). Hydrothermal plume processes in the Indian Ocean (Kairei and Edmond vent-sites, Central Indian Ridge) (abstract of paper presented at ASLO/AGU Ocean Sciences Meeting, Honolulu, HI, 11-15 Feb 2002). EOS: Transactions American Geophysical Union, 83(4 Supplement), OS205. Waller, R. G., Tyler, P. A., & Smith, C. R. (2002). Preliminary findings of the reproductive processes of deep water actinarians from the western Antarctic shelf. EOS: Transactions American Geophysical Union, 83(4 Supplement), p.OS336. Tyler, P. (2002). Professor Christopher German awarded the MBE medal. InterRidge News, 11(2), p.3. Sumida, P. Y. G., Tyler, P. A., & Billett, D. S. M. (2001). Early juvenile development of deep-sea asteroids of the NE Atlantic Ocean, with notes on juvenile bathymetric distributions. Acta Zoologica, 82(1), 11-40. Powell, D. K., Tyler, P. A., & Peck, L. S. (2001). Effect of sperm concentration and sperm ageing on fertilisation success in the Antarctic soft-shelled clam Laternula elliptica and the Antarctic limpet Nacella concinna. Marine Ecology Progress Series, 215, 191-200. Allen, C. E., Tyler, P. A., & Van Dover, C. L. (2001). Lipid composition of the hydrothermal vent clam Calyptogena pacifica (Mollusca: Bivalvia) as a trophic indicator. Journal of the Marine Biological Association of the United Kingdom, 81(5), 817-821. Allen, C., Tyler, P. A., & Varney, M. (2001). Lipids in Indian Ocean decapods. Hydrobiologia, 440, 272-279. Garnacho, E., Tyler, P. A., & Peck, L. S. (2001). Reproduction, seasonality, and copper toxicity in the coastal mysid Praunus flexuosus. Journal of the Marine Biological Association of the United Kingdom, 81(3), 433-440. Tyler, P. (2000). Final frontier. Review of The eternal darkness by Robert Ballard. New Scientist, 165(2225), 50-51. Allen, C., Tyler, P. A., & Varney, M. (2000). Lipid profiles of Nematocarcinus gracilis, a deep-sea shrimp from below the Arabian Sea oxygen minimum zone. Hydrobiologia, 440, 273-279. Ramirez Llodra, E., Tyler, P. A., & Copley, J. T. P. (2000). Reproductive biology of three caridean shrimp, Rimicaris exoculata, Chorocaris chacei and Mirocaris fortunata (Caridea: Decapoda), from hydrothermal vents. Journal of the Marine Biological Association of the United Kingdom, 80(3), 473-484. Jollivet, D., Empis, A., Baker, M. C., Hourdez, S., Comtet, T., Jouin-Toulmond, C., ... Tyler, P. A. (2000). Reproductive biology, sexual dimorphism, and population structure of the deep sea hydrothermal vent scale-worm, Branchipolynoe seepensis (Polychaeta: Polynoidae). Journal of the Marine Biological Association of the United Kingdom, 80(1), 55-68. Tyler, P. A., Young, C. M., & Clarke, A. (2000). Temperature and pressure tolerances of embryos and larvae of the Antarctic sea urchin Sterechinus neumayeri (Echinodermata: Echinoidea): potential for deep-sea invasion from high latitudes. Marine Ecology Progress Series, 192, 173-180. Tyler, P. A., & Dixon, D. R. (2000). Temperature/pressure tolerance of the first larval stage of Mirocaris fortunata from Lucky Strike hydrothermal vent field. Journal of the Marine Biological Association of the United Kingdom, 80(4), 739-740. Narayanaswamy, B. E., Gage, J. D., Tyler, P. A., & Hartley, J. P. (1999). Abundance and distribution of macrobenthos in the Faeroe-Shetland Channel. Newsletter of the Porcupine Marine Natural History Society, No. 2, 27-28. Lopez-Acuna, L., Tyler, P. A., & Viana, M. S. (1999). The effect of temperature and artificial diets on the growth rate of juvenile Haliotis turberculata. Journal of Shellfish Research, 17(3), 657-662. Thatje, S., Tyler, P., Talbot, P., Horton, T., MacLaren, L., Murty, S., ... Billett, D. (Eds.) (2006). 11th International Deep-Sea Biology Symposium, book of abstracts. Southampton, UK: National Oceanography Centre. Southward, A. J., Tyler, P. A., Young, C. M., & Fuiman, L. A. (Eds.) (2005). Advances in Marine Biology, Vol. 47. San Diego CA, USA: Elsevier Academic Press. Southward, A. J., Tyler, P. A., Young, C. M., & Fuiman, L. A. (Eds.) (2003). Advances in Marine Biology, Vol. 44. London, UK: Academic Press. Southward, A. J., Tyler, P. A., Young, C. M., & Fuiman, L. A. (Eds.) (2003). Advances in Marine Biology, Vol. 45: cumulative subject index Volumes 20-44. Oxford, UK: Elsevier. Southward, A. J., Tyler, P. A., Young, C. M., & Fuiman, L. A. (Eds.) (2003). Advances in Marine Biology, Vol. 46. London, UK: Academic Press. Tyler, P. A. (Ed.) (2003). Ecosystems of the world, Vol. 28. Ecosystems of the deep oceans. Amsterdam, The Netherlands: Elsevier. Southward, A. J., Tyler, P. A., Young, C. M., & Fuiman, L. A. (Eds.) (2002). Advances in Marine Biology, Vol. 42: Molluscan radiation - lesser-known branches. London, UK: Academic Press. Southward, A. J., Tyler, P. A., Young, C. M., & Fuiman, L. A. (Eds.) (2002). Advances in Marine Biology, Vol. 43. London, UK: Academic Press. Southward, A. J., Tyler, P. A., Young, C. M., & Fuiman, L. A. (Eds.) (2001). Advances in Marine Biology, Vol. 39. San Diego CA, USA: Academic Press. Southward, A. J., Tyler, P. A., Young, C. M., & Fuiman, L. A. (Eds.) (2001). Advances in Marine Biology, Vol. 40. San Diego CA, USA: Academic Press. Southward, A. J., Tyler, P. A., Young, C. M., & Fuiman, L. A. (Eds.) (2001). Advances in Marine Biology, Vol. 41. San Diego CA, USA: Academic Press. Southward, A. J., Tyler, P. A., & Young, C. M. (Eds.) (2000). Advances in Marine Biology, Vol. 37. San Diego CA, USA: Academic Press. Southward, A. J., Tyler, P. A., Young, C. M., & Fuiman, L. A. (Eds.) (2000). Advances in Marine Biology, Vol. 38. San Diego CA, USA: Academic Press. Ryland, J. S., & Tyler, P. A. (Eds.) (1989). Reproduction, Genetics and Distributions of Marine Organisms: 23rd European Marine Biology Symposium. Fredensborg, Denmark: Olsen & Olsen. Baker, M., Ramirez-Llodra, E., Tyler, P., & et al (2010). Biogeography, ecology, and vulnerability of chemosynthetic ecosystems in the deep sea. In A. McIntyre (Ed. ), Life in the World's Oceans: Diversity, Distribution and Abundance (pp. 161-182). Chichester, GB: Wiley-Blackwell. Tyler, P. A. (2007). The deep sea: if we do not understand the biodiversity, can we assess the threat. In R. Hester, & R. M. Harrison (Eds. ), Biodiversity under threat (pp. 81-106). Cambridge, UK: Royal Society of Chemistry. Tyler, P. (2004). Hydrothermal vents: life powered by chemicals. In D. Stow (Ed. ), Encyclopedia of the oceans (pp. p.212). Oxford, UK: Oxford University Press. Tyler, P. A. (2003). Epilogue: exploration, observation and experimentation. In P. A. Tyler (Ed. ), Ecosystems of the world, Vol. 28. Ecosystems of the deep oceans (pp. 473-476). Amsterdam, The Netherlands: Elsevier. Tyler, P. A. (2003). Introduction: Ecosystems of the world, Vol. 28. Ecosystems of the deep oceans. In P. A. Tyler (Ed. ), Ecosystems of the world, Vol. 28. Ecosystems of the deep oceans (pp. 1-3). Amsterdam, The Netherlands: Elsevier. Tyler, P. A., & Ramirez-Llodra, E. (2003). Larval and reproductive strategies on European continental margins. In G. Wefer, D. Billett, D. Hebbeln, B. B. Jorgensen, M. Schluter, & T. C. E. Van Weering (Eds. ), Ocean Margin systems (pp. 339-350). Berlin, Germany: Springer. Demopoulos, A. W. J., Smith, C. R., & Tyler, P. A. (2003). The deep Indian Ocean floor. In P. A. Tyler (Ed. ), Ecosystems of the World Vol. 28. Ecosystems of the deep oceans (pp. 219-237). Amsterdam, Netherlands: Elsevier. Tyler, P. A. (2003). The peripheral deep seas. In P. A. Tyler (Ed. ), Ecosystems of the World Vol. 28. Ecosystems of the deep oceans (pp. 261-293). Amsterdam: The Netherlands: Elsevier. Tyler, P. A., Rice, T., & Young, C. M. (2001). Deep-sea biology in the 1990s: a legacy of the "Challenger" Expedition. In M. Deacon, T. Rice, & C. Summerhayes (Eds. ), Understanding the oceans: a century of ocean exploration (pp. 261-271). London, UK: UCL Press. Nye, V., Copley, J., & Tyler, P. A. (2013). Reproductive biology and population structure of the hippolytid shrimp Lebbeus virentova at the Von Damm Vent Filed, Mid-Cayman Spreading Centre. 5th International Symposium on Chemosynthesis-Based Ecosystems, Canada. Nye, V., Copley, J., & Tyler, P. A. (2013). Reproductive ecology of the alivinocaridid shrimp Rimicaris hybisae at hydrothermal vents on the Mid-Cayman Spreading Centre. 5th International Symposium on Chemosynthesis-Based Ecosystems, Canada. Nye, V., Copley, J. T. P., Tyler, P. A., & Marsh, L. (2012). Biogeographic patterns at hydrothermal vents: Filling in the gaps and examining the influence of life-history biology. 2012 Ocean Sciences Meeting, United States. Marsh, L., Copley, J. T., & Tyler, P. A. (2012). Extending the world's longest ecological time-series observation of a hydrothermal vent field. Poster session presented at 13th Deep-Sea Biology Symposium, New Zealand. Marsh, L., Copley, J. T., Huvenne, V. A. I., & Tyler, P. A. (2012). Getting the bigger picture: using precision Remotely Operated Vehicle (ROV) videography to construct large-scale, high-definition mosaic images of deep-sea hydrothermal vents in the Southern Ocean. Poster session presented at Prof Paul Tyler Retirement Meeting: Deep-Sea Biodiversity and Life-History Processes, United Kingdom. Marsh, L., Copley, J. T., & Tyler, P. A. (2012). Microdistribution and reproductive ecology of Kiwa n. sp. associated with hydrothermal vent fields on the East Scotia Ridge, Southern Ocean. Prof Paul Tyler Retirement Meeting: Deep-Sea Biodiversity and Life-History Processes, United Kingdom. Nye, V., Copley, J., & Tyler, P. A. (2012). Reproductive biology and population structure of the alvinocaridid shrimp Rimicaris hybisae at hydrothermal vents on the Mid-Cayman Spreading Centre. 13th Deep-Sea Biology Symposium, New Zealand. Copley, J., Nye, V., Connelly, D. P., Murton, B. J., Stansfield, K., & Tyler, P. A. (2011). Biology of newly discovered hydrothermal vent fields on the world's deepest seafloor spreading centre. Paper presented at World Conference on Marine Biodiversity, United Kingdom. Tyler, P. A., Copley, J. T., Linse, K., Rogers, A. D., Clark, A., Marsh, L., ... et al (2011). Faunal microdistributions and assemblage structure at two Discovery of Southern Ocean chemosynthetic ecosystems enhances Antarctic deep-sea biodiversity. World Conference on Marine Biodiversity, United Kingdom. Marsh, L., Copley, J. T., & Tyler, P. A. (2011). Faunal microdistributions and assemblage structure at two newly discovered hydrothermal vent fields on the East Scotia Ridge, Southern Ocean, determined by precision ROV videography. World Conference on Marine Biodiversity, United Kingdom. Grange, L. J., Tyler, P. A., & Peck, L. S. (2011). Fertilization success of the circumpolar Antarctic seastar Odontaster validus: A diver-collected study. In N. W. Pollock (Ed. ), Proceedings of the American Academy of Underwater Sciences 30th Symposium (pp. 140-151). Maine, US: American Academy of Underwater Sciences. Larkin, K. E., Ruhl, H. A., Bagley, P., Benn, A., Bett, B. J., Billett, D. S. M., ... Wenzhöfer, F. (2010). Benthic biology time-series in the deep sea: indicators of change. In J. Hall, D. E. Harrison, & D. Stammer (Eds. ), Proceedings of OceanObs’09: Sustained Ocean Observations and Information for Society, Vol. 2 (pp. 599-615). (ESA Special Publication; No. WPP-306). Noordwijk, The Netherlands: European Space Agency. Bett, B., Tyler, P., Jones, D., & Clarke, A. (2008). Beneath the sheets: Autosub under ice - Life deep under ice. In K. Collins, & G. Griffiths (Eds. ), Workshop on AUV science in extreme environments: collaborative Autosub science in extreme environments. Proceedings of the International Science Workshop, 11-13 April 2007, Scott Polar Research Institute, University of Cambridge, UK (pp. 201-202). London, UK: Society for Underwater Technology. Campos, L. D. S., Ramirez Llodra, E., German, C. R., & Tyler, P. A. (2007). CHESS and the biogeography of chemosynthetic ecosystems: the work of the Census of Marine Life and potential collaborations with the Authority. In Polymetallic sulphides and cobalt-rich ferromanganese crusts deposits: establishment of environmental baselines and an associated monitoring programme during exploration. Proceedings of the International Seabed Authority's Workshop (pp. 204-224). Kingston, Jamaica: International Seabed Authority. Tyler, P. A., Marsh, L., & Smith, C. R. (2006). Idas washingtonia: why be a protandric hermaphrodite on whale falls?. Poster session presented at 11th International Deep-Sea Biology Symposium, United Kingdom. Grange, L. J., Tyler, P. A., & Peck, L. S. (2004). The Reproductive Success of Antarctic Marine Invertebrates. Poster session presented at Ecology of the Antarctic Sea Ice Zone (EASIZ) 2004, Croatia. Tyler, P. A., & Young, C. M. (2003). Dispersal at hydrothermal vents: a summary of recent progress. In M. B. Jones, A. Ingolfsson, E. Olafsson, G. V. Helgason, K. Gunnarsson, & J. Svavarsson (Eds. ), Migrations and dispersal of marine organisms: Proceedings of the 37th European Marine Biology Symposium held in Reykjavik, Iceland, 5-9 August 2002 (pp. 9-19). (Developments in Hydrobiology; No. 174). Dordrecht, Netherlands: Kluwer Academic. Tyler, P. A., German, C. R., & et al (2011). RRS Charles Darwin Cruise 128, 26 May-26 Jun 2001. Kairei and Edmond hydrothermal plumes, Rodriguez Triple Junction, Indian Ocean. (National Oceanography Centre Internal Document; No. 3). Southampton, GB: National Oceanography Centre. Tyler, P. A., & et al (2011). RRS James Cook Cruise JC55, 13 Jan-22 Feb 2011. Bransfield Strait, the East Scotia Ridge and the Kemp Seamount Calderas, Cruise 3 of the NERC Consortium Grant ‘Chemosynthetically-driven ecosystems in the Southern Ocean: Ecology and Biogeography’ (ChEsSo). (National Oceanography Centre Cruise Report; No. 5). Southampton, UK: National Oceanography Centre Southampton. Baker, M. C., Bett, B. J., Masson, D. G., German, C. R., Parson, L. M., & Tyler, P. A. (2005). Deep-ocean environment of the Chile Margin and the Chile Triple Junction. (National Oceanography Centre Southampton Research and Consultancy Report; No. 3). Southampton, GB: National Oceanography Centre, Southampton. Tyler, P. A., & Billett, D. S. M. (Eds.) (2005). Deep-Sea Newsletter, No. 34, 2005. Southampton, UK: National Oceanography Centre, Southampton. Bett, B. J., Billett, D. S. M., Masson, D. G., & Tyler, P. A. (2001). RRS Discovery Cruise 248, 07 Jul-10 Aug 2000. A multidisciplinary study of the environment and ecology of deep-water coral ecosystems and associated seabed facies and features (The Darwin Mounds, Porcupine Bank and Porcupine Seabight). (Southampton Oceanography Centre Cruise Report; No. 36). Southampton, UK: Southampton Oceanography Centre. Roe, H. S. J., Badcock, J., Billett, D. S. M., Chidgey, K. C., Domanski, P. A., Ellis, C. J., ... Thurston, M. H. (1987). Great Meteor East: a biological characterisation. (Institute of Oceanographic Sciences Deacon Laboratory Report; No. 248). Wormley, UK: Institute of Oceanographic Sciences Deacon Laboratory.